A built from scratch ballistics machine with a modern feel. You have passion for the game djinghis, thats one thing for sure. What do you know, i was just about to add a new ballista. Thanks Tjens, Savage is a unique game and I would do anything for it. Some of us value the preservation of savage and I will admit my model could use wooden wheels to fit "lore" a little better. OFC mine is a concept - not an invasive patch where nobody has a choice. Id probably spend a bit more than 7 bucks as well on something worth doing. 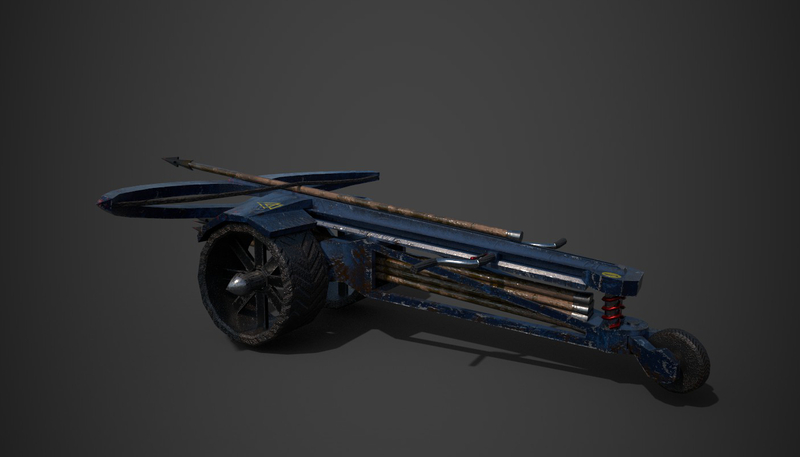 My concept was to have a function to use the arrows in its undercarriage, and procedurallly make them disappear as they are used via reload animations. However, incorporating such animations requires a lot of time and old compatible software plus some hard coded stuff, so OBV that's never going to happen despite any ones best intentions. So now that you caught me, I won't replace the balli with the 7$ cartoonish, RTS-like ballista. What Savage needs is more standard mods.